ODMM seeks to increase transparency and accountability by digitising data that is publically available and representing in a format that is easily understandable, comparable or analysable. 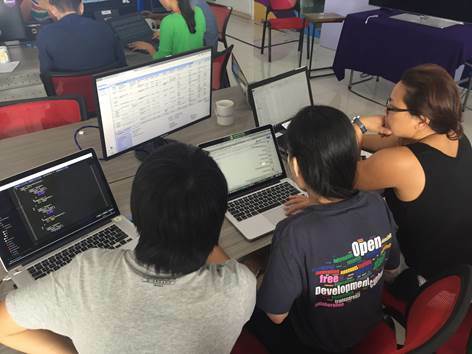 SPIDER has been supporting a project called Open Development Myanmar (ODMM) which is implemented by Phandeeyar – a technology community hub designed to support social innovation, civic technology and ICT for development in Myanmar. Open data has been helpful when it comes to informing publics. Several tools such as data portals are used in Myanmar to share and use data to inform both citizens and authorities. Myanmar is in a historic transition period and it is critical that her data on development aspects be tracked and made openly available to support transparency. ODMM project therefore, seeks to address the following challenges: data that is publicly available is in various places both online and offline, and is not in a format that is easily understandable, comparable or analysable. To improve transparency, the data has to be used by media, civil society and other actors. SPIDER research has been conducted on ODMM to ensure that the project yields impactful results in relation to the challenges mentioned. Many requests for data literacy trainings and technical assistance were received. One effective way of driving open data traffic was through social media. Data cleaning was one of the identified biggest challenges. Whereas activities of several organisations activities are data driven, organisations whose activities are not data driven still need to be part of the open data initiatives. Cleaning and handling of data consumes a lot of time and requires training. Map explorer is one of the most attractive features because it allows users to upload their own geodata files on the open data website. It is more sustainable to build on already existing tech platforms and standards. Social media drives traffic and makes it easy to share information. Engaging stakeholders is a complex task. Open data guidelines are helpful to those who want to be part of the open data community or even to development projects implementers who wish to publish the data they want to make public in open data formats. The research findings also show that the sustainability of open data initiatives relies on open source solutions. The platforms used by ODMM for example, have been used elsewhere such as in Cambodia. There is a shared log of experiences and also a community of practice where support and benchmarks can be borrowed. The research indicates that, visualising data is very important as it helps users to understand the information. Among the most datasets requests, the following featured: government structure and government officials, releases from thematic census reports, prominent companies (organisation charts, industries they operated in, branches, etc.) and laws, etcetera. The research report notes that, “the users would come to the portal to access datasets more if the data was more curated, more up-to-date and complete.” This finding refers us back to the need to have an organic community of data publishers for open data portals to be updated. There were of course other individual challenges reported when it came to use of the ODMM platform for instance the language barrier. Users of the site were either bilingual (English and Burmese speakers) or spoke one of the languages. Respondents pointed out the difficulty of accessing some features or datasets due to language barriers. To overcome this barrier, the research suggests maintaining localisation consistencies across the portal. SPIDER is an independent centre focusing on the digitalisation of international development. We bring together actors in development to promote human centered technology for the achievement of Sustainable Development Goals (SDGs). By combining practical work and applied research, SPIDER contributes to empirical knowledge on ICT for Development (ICT4D). You can be be assured that your data is safely managed in compliance with the new law. SPIDER is part of Stockholm University and therefore follows its policy.